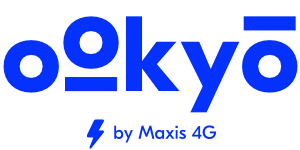 Note: for auto-renewal users, removing your card directly from Maxis Pay will not terminate the auto renewal and your ookyo account. This can only be done via the ookyo app by following the above steps. Your account will be active until your next renewal date. After the renewal date, your account will go into Grace where you can only receive incoming calls/SMS. You won't be able to use your ookyo credit/Google Play Rewards or any of your purchased passes. If you wish to reactivate your service, you have 50 days to make a manual payment before your line is completely terminated.